On the street Manhattan can feel like an endless flow of pedestrians. But there are patterns within the madness. 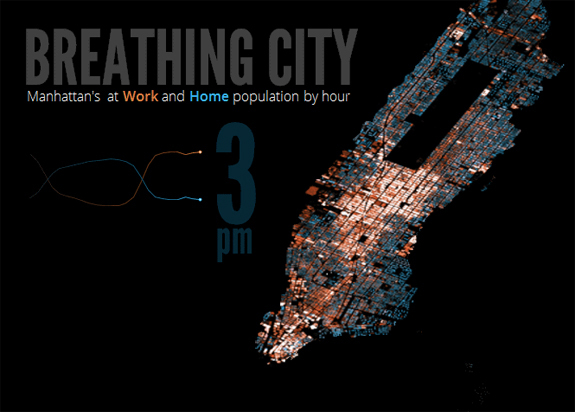 The folks at Dark Horse Analytics have animated the flow of people in Manhattan over 24 hours and the results are pretty mesmerizing. The map is inspired by John Nelson’s “Breathing Earth” — a series of animations the show the changing of the seasons on a global scale in second.